Good cleaning habits are very appropriate for women to have these days. Some people are talented at keeping a house spotless. They have created this habit of being clean in every corner of their house and as well as maintaining them. Everything looks picture perfect and there is not a speck of dirt anywhere. 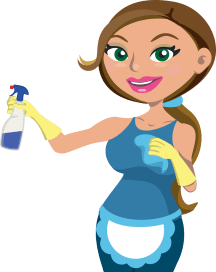 Have you ever wondered how they are able to maintain that level of cleanliness without hiring a home cleaning service? Without someone to clean everyday, the secret to their picture perfect home is executing a habit of cleaning. Few simple tasks may be done everyday to a point that they have become habits. 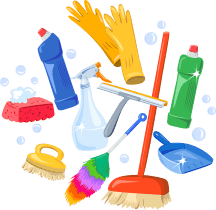 Most of the tasks are not only effective in cutting down the amount of time needed to clean but also the amount of cleaning. This first habit sounds simple but it really does make a big difference. The bed is the focal point for the whole bedroom. Even if the rest of the room still needs tidying making the bed will make the whole space feel neater. Whether you choose to empty the dishwasher before or after you have had your first cup of coffee is entirely up to you however you will want to do it before your day gets started. This will help to keep your sinks empty and dirty dishes can be rinsed and loaded immediately after each meal. Wash a load of laundry every day. Laundry can pile up quickly so to keep it from becoming a problem try to wash a load everyday or every other day. It is easier to keep up with one load of laundry a day rather than a mountain of laundry every weekend. This organic cleaning habit that must be needed to exercise and perform in order to start disciplining yourself. Leave all shoes at the door. Shoes track things like mud and dirt and sand all through the house. To cut down on the amount of sweeping and mopping needed for floors to stay clean keep all shoes by the door in either a hamper or a shelf or even a storage bench. These and other storage options will keep the hallway or entry organized and neat. Wipe down showers and tubs after every use. Wiping down the walls of the shower or tub after each bath keeps water stains and grime from building up as fast between cleaning days. 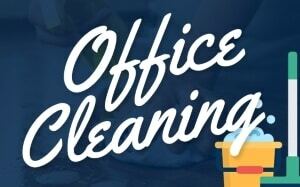 This will keep your task lighter everyday as you can avoid much time to clean in one single day. It may sound crazy but it works! Take a minute and pick up everything off of the floor and sweep. Nothing else is straightened up or removed from the room just clearing the floor will make a huge difference. A cluttered and unswept floor makes the entire space feel dirty and cluttered, whereas a clean and swept floor makes a room feel cleaner and less cluttered. Every time you use a counter or the microwave immediately wipe it down when you have finished with it. It is easier to clean a spill when it is fresh and damp rather than later after it has dried and hardened. Cleaning up while you are cooking means that the only thing left to clean after the meal will be the dishes and those you can rinse and load straight into your empty dishwasher. By learning to adapt these good cleaning tips, it will make you become more passionate about cleaning. 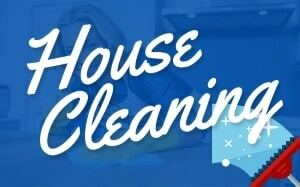 Anyone may start to perform tasks in order to create a cleaning habit. It will also make you benefit from performing this daily tasks.